If you live with a kitty who just loves catnip, it can be expensive to keep up! Even a small bag at a pet store can be $5 or more, and it doesn’t last long. Another solution is to grow your own catnip, from just a handful of seeds. A one-time small investment can pay off year after year. It’s easy to grow, harvest, dry and store, but you do need to know a few tricks…. Catnip is a perennial herb and member of the mint family. It grows in many environments and soil types. It loves full sun, but can also grow in partial shade. Wait until all danger of frost has passed and the weather is warming up. You’ll want to pick a spot where you can easily “contain” this aggressive herb. It will take over as much land as you allow! Once you have your spot, just moisten the soil and sprinkled the seeds on top. Then cover them with a thin layer of additional soil. You’ll want to keep the soil moist for the first two weeks, but don’t over-water. Just lightly spray a mist over the area once a day for 10 to 14 days. Continue to keep the soil moist until the plants have about 6 full leaves. Then thin the plants so that they are about 18 inches apart. In most environments, the plants will take off on their own at this point, and will no longer need watering. Just treat it as you would any other garden plant. As it grows, you may want to pinch off the tips of the shoots. This will encourage a “bushier” plant. Do not use fertilizer, as this will decrease the potency of the herb. Also, to control its spread, be sure to remove the flowers before they go to seed! A bit less water will also keep it from spreading too far. Catnip is a very hardy plant that loves to be harvested! Just cut the entire stem where the plant meets the soil. By cutting it completely down, rather than just removing a portion, it will regrow much quicker. You can feel free to harvest at any time during the growing season. However, when the plant is flowering the oils (which are really what your cat craves) are at their peak! The easiest method is to bundle a group of cut stems together and hang them, upside down, in a cool, dark place to dry. If you’re in a hurry, you can also put them in the oven on a very low heat. Just be sure to keep an eye on them as they dry! Once it’s dried, crumble off the leaves and flowers (both will be loved) and discard the stems. Continue to crumble, or crush, the leaves and flowers until they are broken down into small pieces – like the expensive stuff in the pet store! Catnip should be stored in an airtight container to keep all moisture out. Plastic bags (with “zipper” seals) work well. Store it away from heat or sunlight, which will draw the potency out of the herb. A cool, dry place (away from kitties) is perfect. You can also store the sealed container in the refrigerator or freezer, to extend shelf-life. 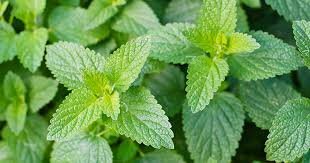 Dried catnip will last for several months, at a minimum, before the smell in the oils begins to fade. Be aware that you may attract other cats into your yard, so keep this in mind when you’re planning the location of the garden. It’s great fun to see it grow and then prepare it for your kitty. What a treat they will have, after all your work!